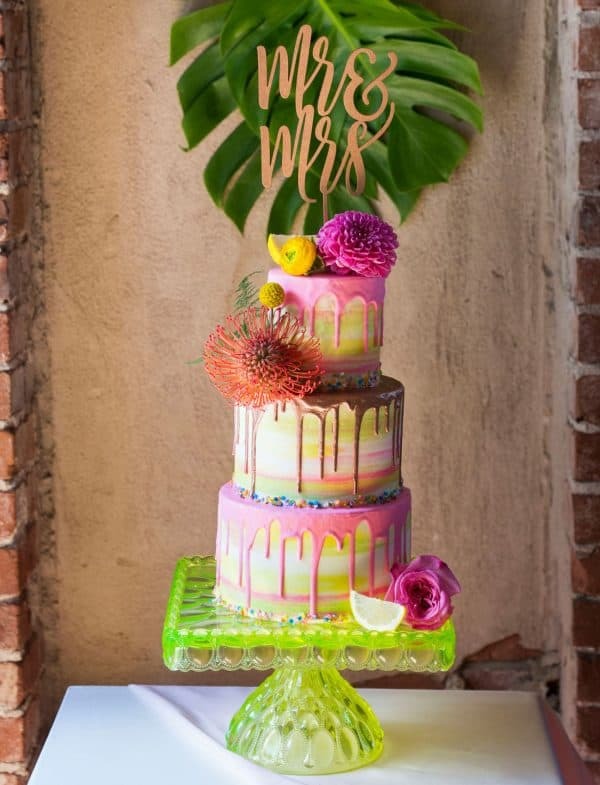 Vibrant colors, whimsical decor, and a radiant couple made for a sweet citrus wedding that made our job so much brighter! 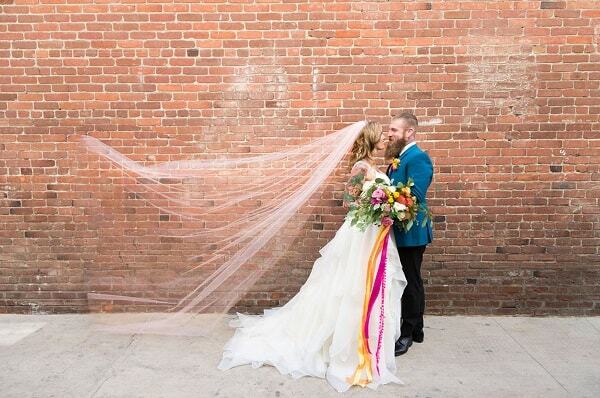 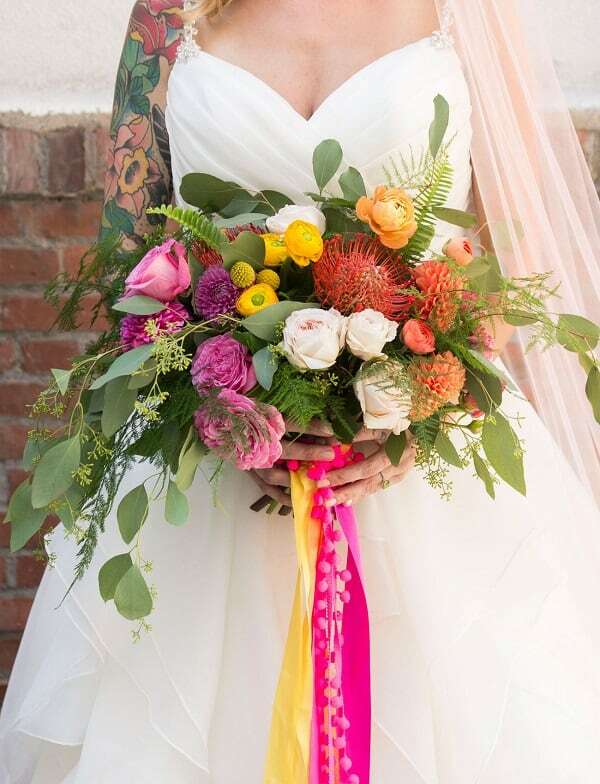 The colorful DIY wedding was held in historic Long Beach, California, and was a light-hearted affair that sang of the couple’s dazzling personalities and eccentric styles. 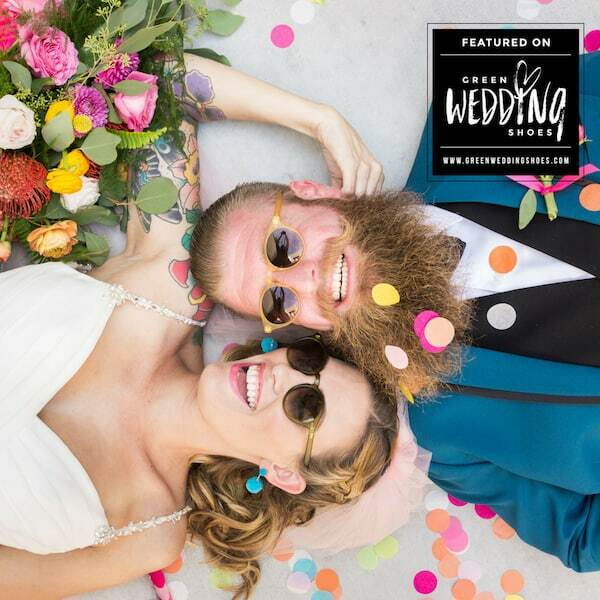 Our friends at Green Wedding Shoes covered the big day, and we can’t wait to share all the details! 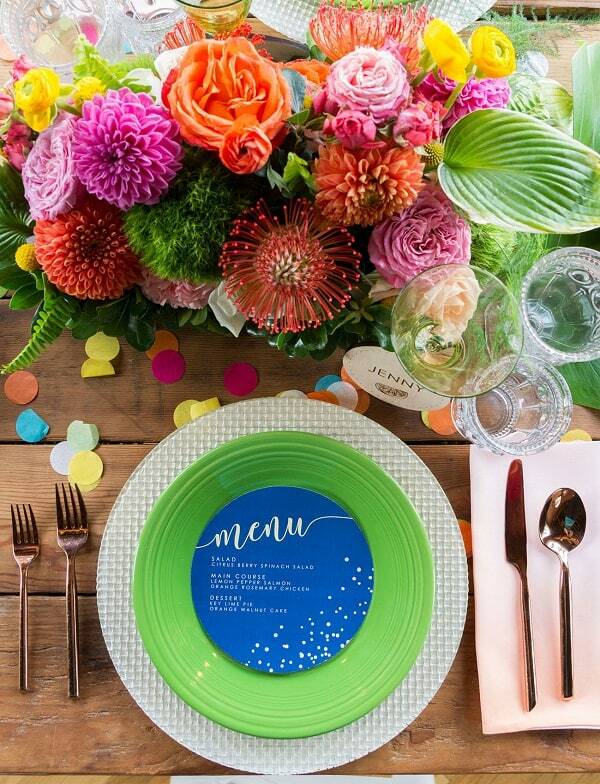 Keep scrolling for the bright, vibrant photos of this sweet citrus wedding and an excerpt of the feature! 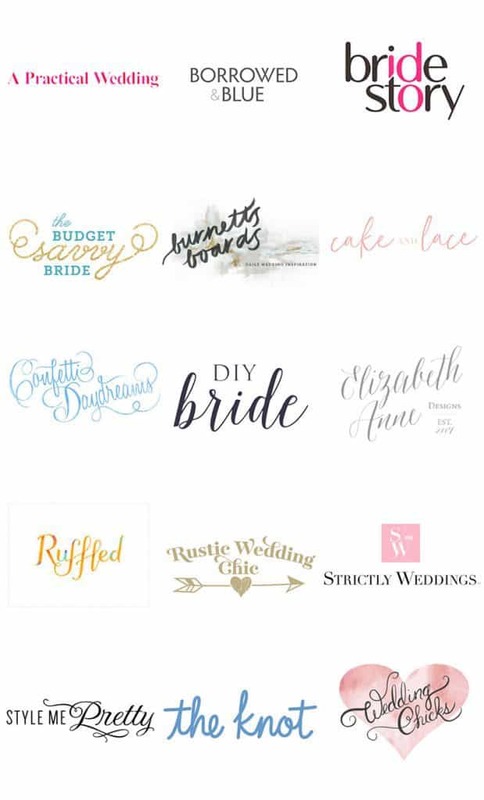 “Zesty, bright, and zealous! 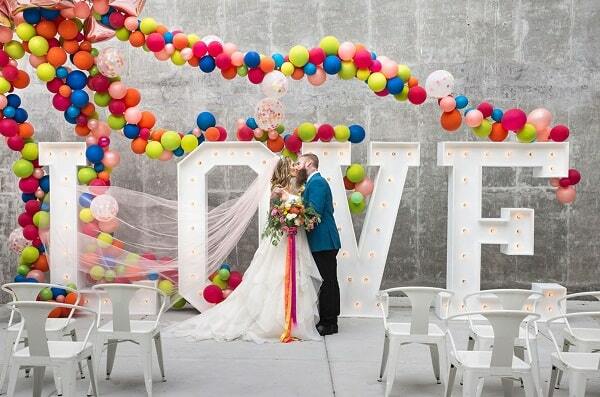 Today’s wedding inspiration is booming with bold statement-making décor: citrus, confetti, and tons of balloons. 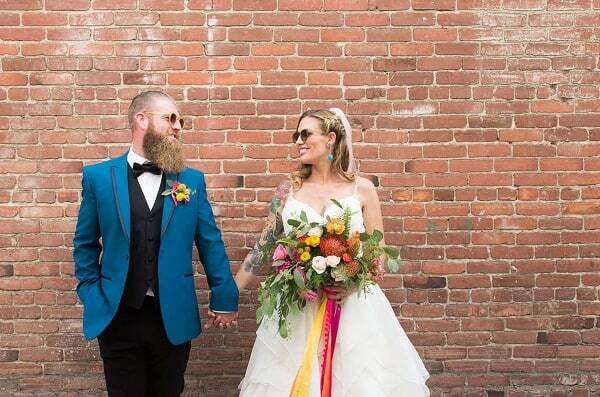 For the couple that wants to exude laid-back and casual vibes on their wedding, while still going ALL OUT, Erin Hansen Events & Design crafted something hip + modern… And totally cool!